Zeebox, the social TV app, has sold a stake in the company to BSkyB who will integrate Zeebox into its own customer apps and exclusively sell its synchronised ad inventory. Sky has bought a 10% equity stake in Zeebox as part of the deal, reportedly worth upwards of $15m, which was founded by BBC iPlayer developer Anthony Rose and former EMI board director Ernesto Schmitt. Designed as a ‘second screen’ experience to complement television, Zeebox makes TV viewing more interactive by serving up social media discussion and other information on specific programmes. Synchronised ad inventory refers to ads served in Zeebox at the same time an brand's ad appears in a break on television. Having only launched its app to the public in October, it will receive a major boost to awareness through the deal with Sky, which will integrate Zeebox functionality into Sky’s apps, which will include Sky+ and Sky Go. Emma Lloyd, Sky’s director of emerging products, said: "Sky took an early position of leadership with companion devices, having recognised the demand from our customers to use second screens to discover, enjoy and interact with their favourite content. "The integration of zeebox’s innovative technology will enable us to make the companion device experience even richer and more engaging. We know that millions of our customers have smartphones and tablets and regularly use them to engage with Sky on mobile devices, so it’s a natural next step for us." Ernesto Schmitt, Zeebox’s co-founder and CEO, said: "Sky has a strong track record of innovation, and we are delighted to partner with them to deliver zeebox's social TV vision to millions of Sky homes. Thanks to Sky's backing we now also have the resources and expertise to set our sights firmly on international expansion alongside further innovation here in the UK and Ireland." 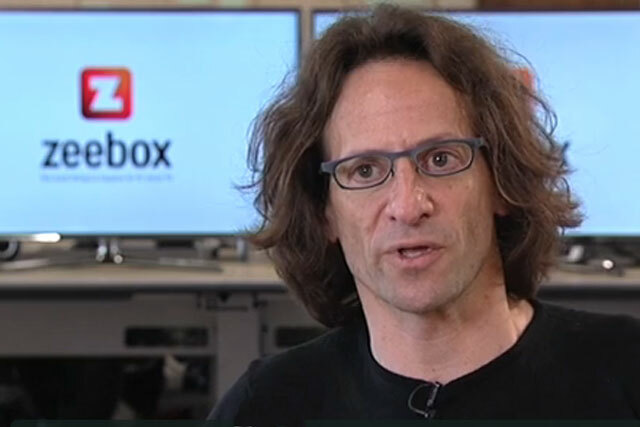 Think BR: Will Zeebox revolutionise our dual screen media consumption?